You guys hear about this Black Panther movie? Of course you have. 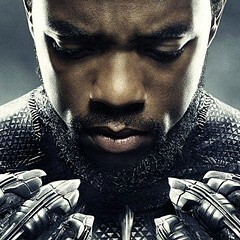 The latest addition to the Marvel Cinematic Universe, written and directed by Ryan Coogler, has become synonymous with "phenomenon," shattering box office expectations and breaking down boundaries in film—all film, not just superhero movies—with the insanely powerful social message that it doesn't only have to be white men dominating the comic book movie world. For the uninitiated, Black Panther tells the story of the isolated African nation of Wakanda, the most technologically advanced civilization on Earth, and how its prince, T’Challa, becomes king and takes up the mantle of the country's leader and guardian. This means he gains superpowers by eating a glowing plant, and then he gets to run around the world superheroing in a bulletproof cat costume. Black Panther was groundbreaking from the start, when Marvel published the first comic in 1966: he was the first black superhero in mainstream comics. 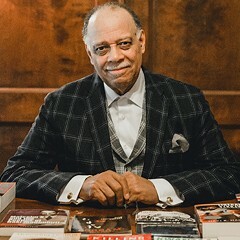 But T’Challa was written and created by two old white men in New York, and Black Panther didn’t get a black writer until the 90s, when Christopher Priest took over and introduced some of the title's most important characters and concepts—like Wakandan ally CIA agent Everett Ross and the Dora Milaje, the all-powerful female warriors who serve as as the crown's special forces. 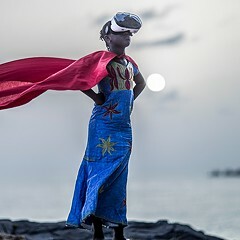 The writers of Black Panther have had a wide range of voices since, including Django Unchained producer Reginald Hudlin, feminist author Roxane Gay, and Afrofuturist writer Nnedi Okorafor. 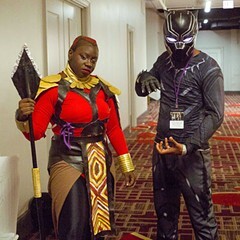 At the beginning of this year a new creative team took over crafting the life of T’Challa and his fellow Wakandans: first-time comic writer Evan Narcisse of the sci-fi blog Io9 is now the main guy behind Rise of the Black Panther, with consultation from author and activist Ta-Nehisi Coates, who’s done work with the character over the past couple years. In Rise of the Black Panther, whose third issue hit shelves Wednesday, T’Challa’s story is getting a reboot. Much like Frank Miller’s Batman: Year One, Rise of the Black Panther retells the story of T’Challa’s ascension to Wakanda’s king and protector in a modern age. This time around we see a new king excited to offer up the powers and technology of Wakanda to the world, shunning the secrecy of his ancestors and peers and inviting outsiders in—which ends up welcoming skeptics and threats. It’s a fast, fun, breezy superhero story, and for better or worse, not much else. Given the creative team’s pedigree, I was expecting more social commentary and politics, but beyond the debates involving foreign aid and isolationism (things that have been discussed in the book since the 60s), it doesn’t bust down nearly as many doors of racism or sexism as the comic has done in the past. What does make Rise of the Black Panther such a blast is the obvious love Narcisse has for the source material. His ability to play around with the greater Marvel Universe with such ease is a joy to read, and the way he fades characters in and out of the mix is as seamless as a classic Avengers book. 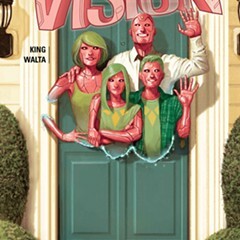 In the latest issue alone, we get Iron Man trying to chase down a vibranium airplane, an attack from a brainwashed Winter Soldier, a grumpy Nick Fury watching a news report about Wakanda, and even a glimpse of Uatu the Watcher—and that’s all before the breathtaking final-panel reveal of one of the greatest comic book villains of all time. Is Rise of the Black Panther a masterpiece? No—not yet at least. The plot isn’t superheavy, the pacing feels a bit rushed, and the action art isn’t all that exciting. But a perfect comic is hard to come by. 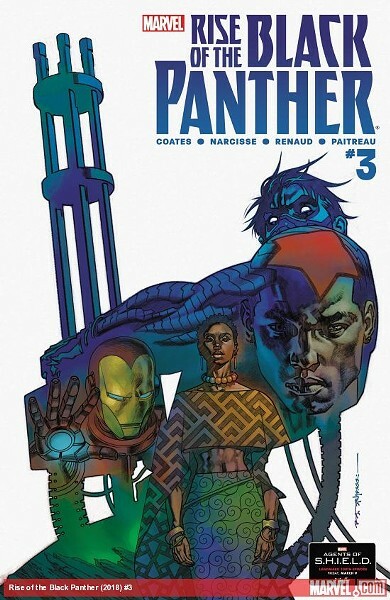 And Narcisse’s love and respect for Black Panther and the medium of comics is overwhelming, and that alone makes this run a total blast and more than worth your time. The next issue hits comic shops via Marvel on Wednesday 4/4.